In the continuing push toward optical computing, the focus remains on finding and developing the right materials. Characterizing materials, understanding the behavior of light in these materials, and being able to control the light are key players in the search for suitable optical materials. Optics in Magnetic Multilayers and Nanostructures presents an accessible introduction to optics in anisotropic magnetic media. While most of the literature presents only final results of the complicated formulae for the optics in anisotropic media, this book provides detailed explanations and full step-by-step derivations that offer insight into the procedure and reveal any approximations. 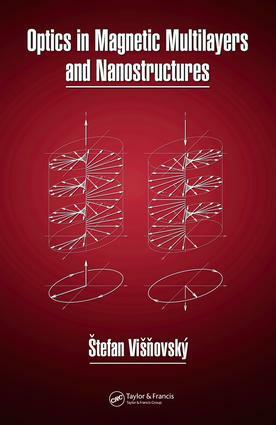 Based on more than three decades of experimental research on the subject, the author explains the basic concepts of magnetooptics; nonreciprocal wave propagation; the simultaneous effect of crystalline symmetry and arbitrarily oriented magnetization on the form of permittivity tensors; spectral dependence of permittivity; multilayers at polar, longitudinal, transverse, and arbitrary magnetization; the effect of normal or near-normal incidence on multilayers; and anisotropic multilayer gratings. Making the subject of magnetooptics and anisotropic media approachable by the nonspecialist, Optics in Magnetic Multilayers and Nanostructures serves as an ideal introduction to newcomers and an indispensable reference for seasoned researchers.